Titled ‘Just how secure is your video surveillance?’, the whitepaper argues that cameras indirectly provide a lot of vital information about a location or organisation that can be researched anonymously over the Internet, without having the person accessing the data present at the site. Information such as when people leave a building, where there are gaps in the areas being recorded, or even cameras recording things like passwords or door codes being entered aids a potential break-in. This danger does not have to come directly from the anonymous internet hackers – frustrated employees, former staff members wishing to take revenge, or customers, suppliers or competitors, all stand to potentially benefit from such confidential information. 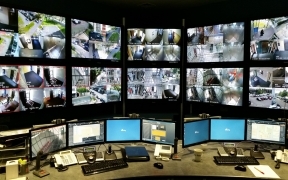 Professional IT networks are never managed without some sort of security in place, but when it comes to CCTV systems, security settings are often left at an insecure level or even completely disregarded, creating a major gap in security for what may be an otherwise highly secure organisation. Standard default passwords, for instance, are estimated to have not been changed on more than 60% of all video cameras, a shortcoming that makes them very easy to manipulate. With today’s IP-based cameras running on their own operating system and connecting to wider IT networks, unsecured devices are also a way of potentially accessing other parts of the network and gaining control. The security risk extends to the footage obtained by CCTV systems, through unauthorised access to, and tampering with, network video recorders. When such tampering occurs, it can often go un-noticed as the system continues to function normally, but the damage to evidential material has already been done. At IFSEC 2016, Panasonic launched its secure communications platform, and announced an end to end cyber secure CCTV system at IFSEC this year. 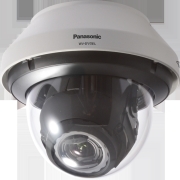 The platform and package of data protection elements work with Panasonic’s IP CCTV camera systems to protect against video tampering and altering, spoofing and snooping. The evidence value of recordings is also secured using device certificate from Symantec Managed PKI with cryptographic technology, alongside alteration detection technology. “By taking time to perform simple tasks like immediately changing default camera passwords during setup, updating software or checking adequate backups are being made, operators can remain safe in the knowledge that their CCTV system is actually up to the task of protecting themselves, staff and customers. The technology now also exists to completely encrypt video data across the network, and it is important that operators take advantage of it,” added Gerard Figols.